After I activated Mt Gawler last Monday, I noted that the Sotawatch page was showing 971 QSO’s and 64 Activations. 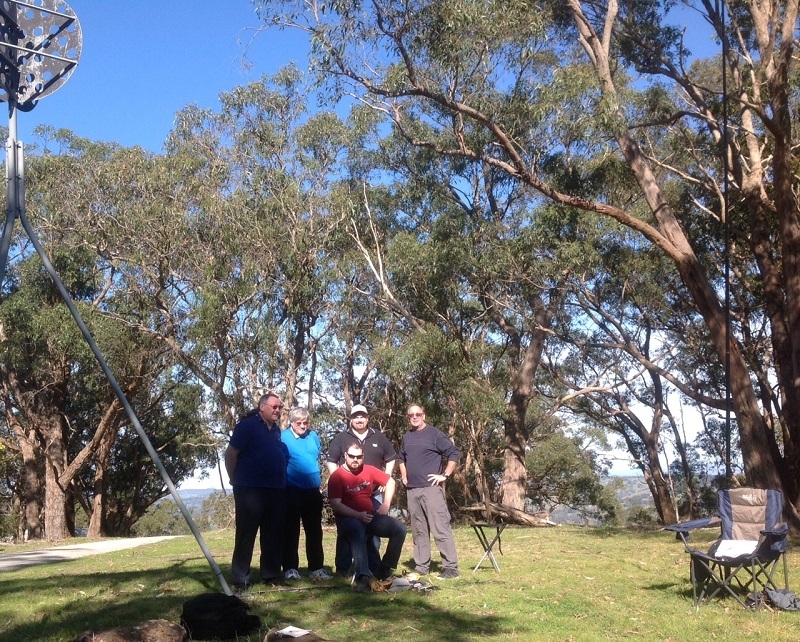 Knowing this is a favourite local hill, I gathered up some contacts and got in touch with a few of the regular activators to see if they all wanted to get together on Saturday morning to push the QSO count up to over 1,000. I had replies from VK5NIG (36 Activations), VK5STU (7 activations), VK5AKH (the first SOTA Activator of this summit) and myself VK5FO (7 Activations) and we all planned to meet and make it happen. We all met near the trig point around 23:00UTC on the 29/08/2014 and we decided to set up 2 stations – one on 20M and one on 40M. I got on 40M and called and started working some of the regular VK Chasers. Conditions were not that good and it was pretty hard going, but I did manage to gain 18 contacts in the log, including 1 S2S before UTC roll-over. At the same time, Nigel and Stuart were calling on 20M and made a couple of contacts. After roll-over, Nigel was calling and worked 5 or 6 more stations, then Stuart VK5STU called. We were close to our target. While we were doing a count of the contacts in the logs, Stuart worked VK3CAT S2S from VK3/VC-001 Mt Matlock for the 1,000th Contact from Mt Gawler. Yes, around 00:10 on 30/08/2014 we achieved what I hoped we would. After we made the milestone contact, Andy set up a 30M dipole and made a call and made 4 more contacts. Conditions were not great, so we decided to call it a day, but not before a photo! 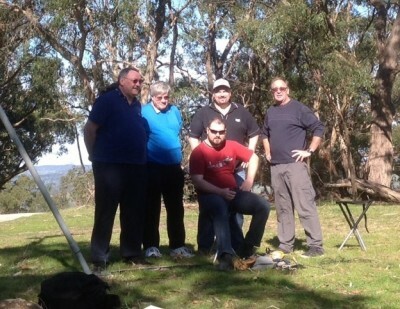 The Team (L-R) VK5FO Bob, VK5RR Ray, VK5AKH Andy (front) VK5STU Stuart and Mr Mt Gawler himself – VK5NIG Nigel. This is a pretty big milestone event for SOTA in VK – as it is now officially the first VK summit to have 1,000 QSO’s. We had awesome weather and made a great time of it, and we all look forward to working everyone from our local hill for the next 1K and beyond. The next target we have our eyes on is to see if we can get into the top 50 list of most activated summits, but this might take some time!